I love my Central Texas area in so many ways. While not aligning politically with many of my fellow citizens, the uniqueness exhibited here is wonderful. One community I like a lot is Granger, up the road a piece from our Taylor home. 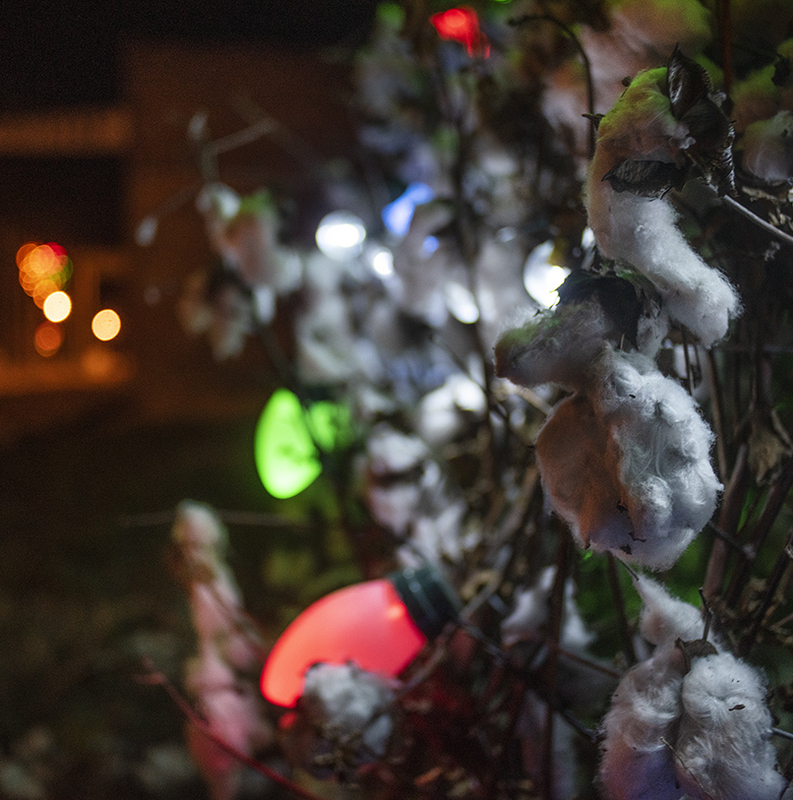 This community, 1400-strong, just put up its annual Christmas tree. 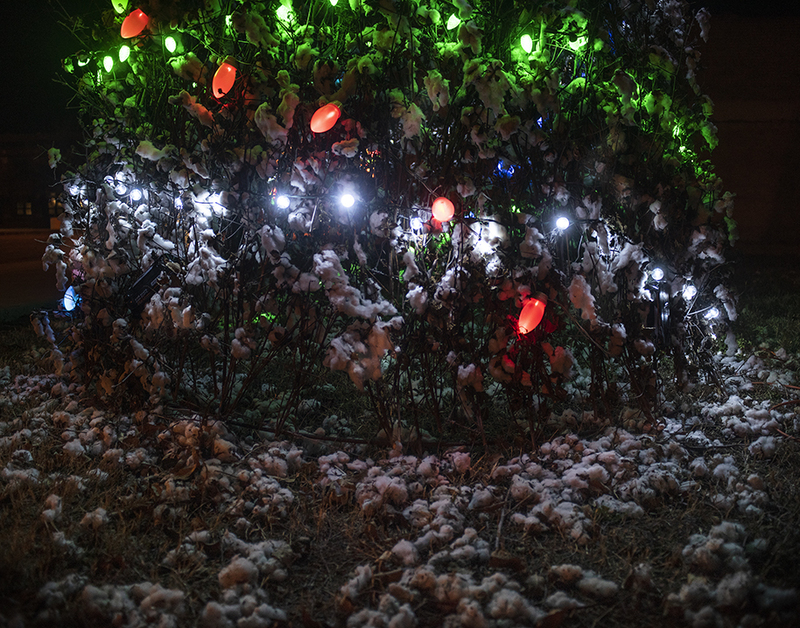 I’d passed it a few nights back, but only gave it a passing nod until a friend mentioned that the tree was adorned with cotton harvested from area fields. How the heck cool is that? 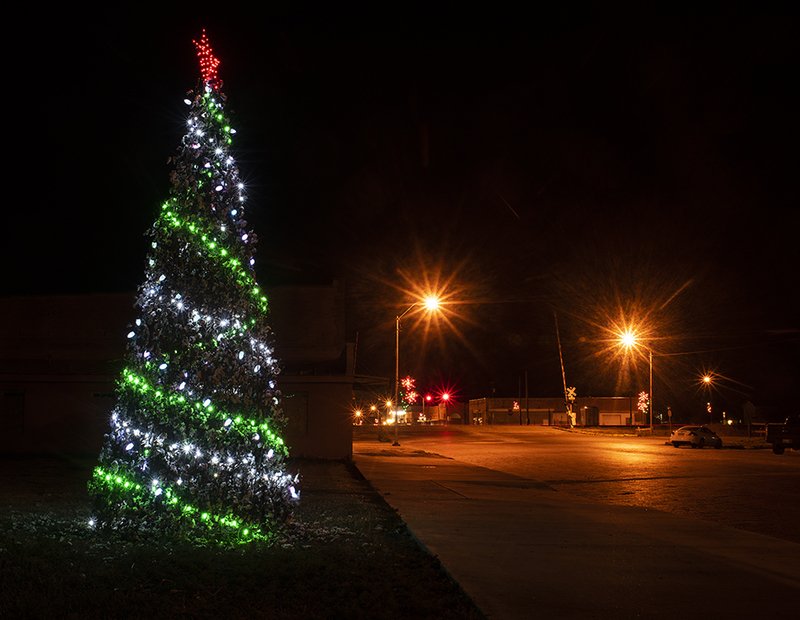 So the main images tonight are of the tree, plus a couple more, lights by the town’s S.P.J.S.T. Hall. And Santa Claus. 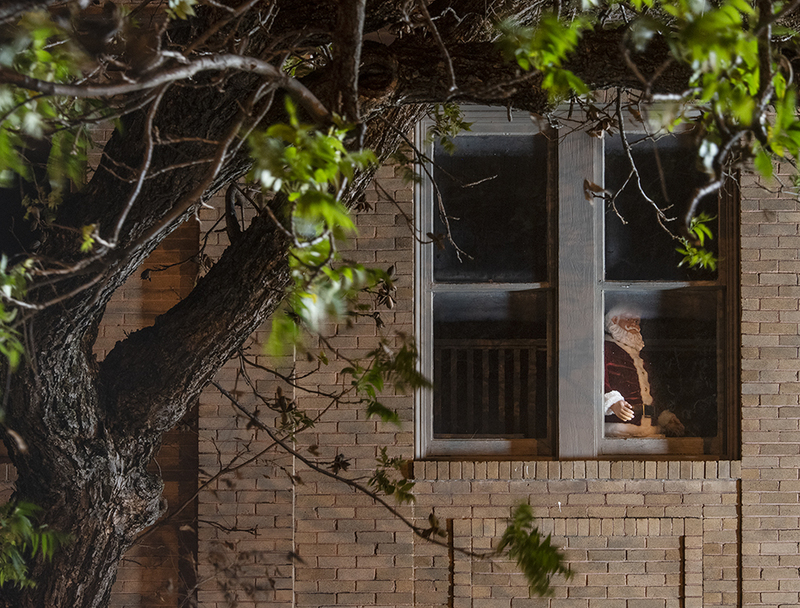 In January, I posted a photo of his visage peering at me from the second-story window of an old building. 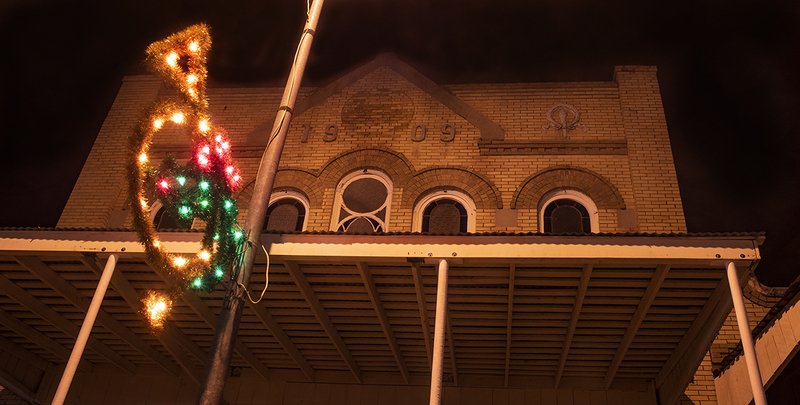 It was neat to see Santa still there… still keeping an eye on things. God, I love small-town Texas. This entry was posted in Uncategorized on December 2, 2018 by 23642459.